It would appear that someone, I would not know who, has got their hands on the rear projection footage that Francis did for "Delos" at Transcom's Bernard Sumner event a couple of years ago. They've re-edited it a little, and married it up with the 'XX50 Rejoined' version of Delos from the Avarice CD single. Of course, we here at Tycho Central would never sanction such a thing, as it is comprised solely of footage from the uber-classic sci-fi techno-thriller movie, Westworld, and we don't exactly have the rights to that. Having said that, give it a look. 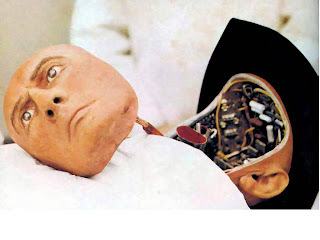 It's a way cool movie, set in the futuristic resort "Delos", where "nothing can go wrong" - except for the unstoppable psychopathic robot gunslinger Yul Brynner! Penned by the late Michael Crichton (famously responsible for Jurassic Park), this movie gave the instrumental song a name and identity.  Tycho has recently been receiving some airplay on US college radio station WTSR FM in Trenton, New Jersey. Every Tuesday between 4pm and 8pm the long-running show Transmission Control features electronic alternative music: synthpop, electropop, darkwave, industrial, EBM, and everything in between.